Moisturizer EX* | First off, I just want to mention how appreciative I am for the packaging of this thing. It has a pump that makes it easy and fast to dispense the product; so when you're super lazy (like lazy enough to not even bother to twist open a jar or moisturizer) this will work perfectly in your favour. As for the actual product, I really like it. The consistency isn't like a majority of the other creams I've tried, instead it's on the thinner side but still does a great job at hydrating my skin nonetheless. Since using it, my face hasn't ever felt tight at all. 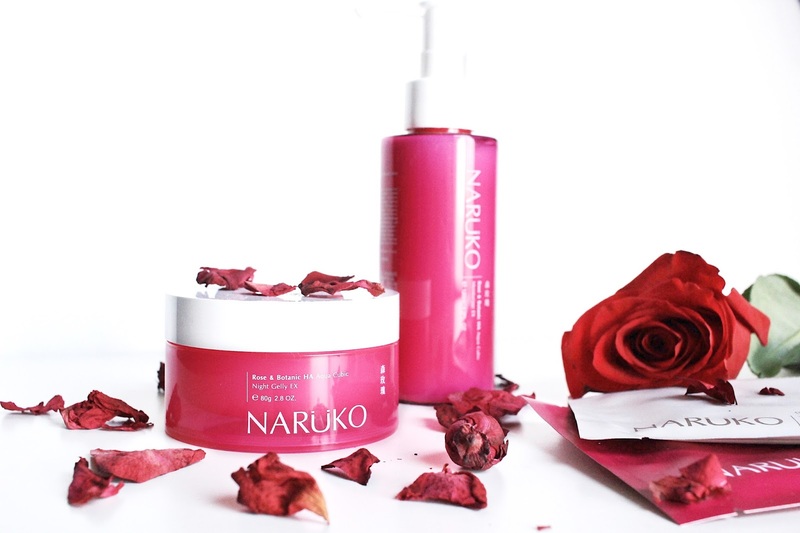 Naruko claims that this is supposed to leave your skin soft, tender & elastic and I could completely agree with that. Night Gelly EX* | This gelly is supposedly meant to hydrate the skin immensely to supply and lock in water, help maintain it's metabolism, strengthen it's health and oil balance, and firm the skin & improve wrinkles. Those are a lot of claims but for the while I've been using this, I can say that my skin is more supple and firm. I'm sure that it's probably the result of using both this and the above mentioned in conjunction with each other. As for the wrinkles claim, I'm still pretty young and I don't have any yet (I hope I didn't jinx that) so I can't vouch for that. The texture of this is very gel-like and feels so nice & cooling on the skin. Hydrating Mask EX* | I brought this mask on the plane with me when I flew to the Philippines to use during the flight when I felt like I'd need a little extra moisture. Just like the other products mentioned, this mask smelled just like rose so I enjoyed basking in this for a good half hour. This mask is soaked in a ton of serum. Though after removing the mask and rubbing in the serum, I found it to absorb really quickly, leaving my skin feeling extremely hydrated. 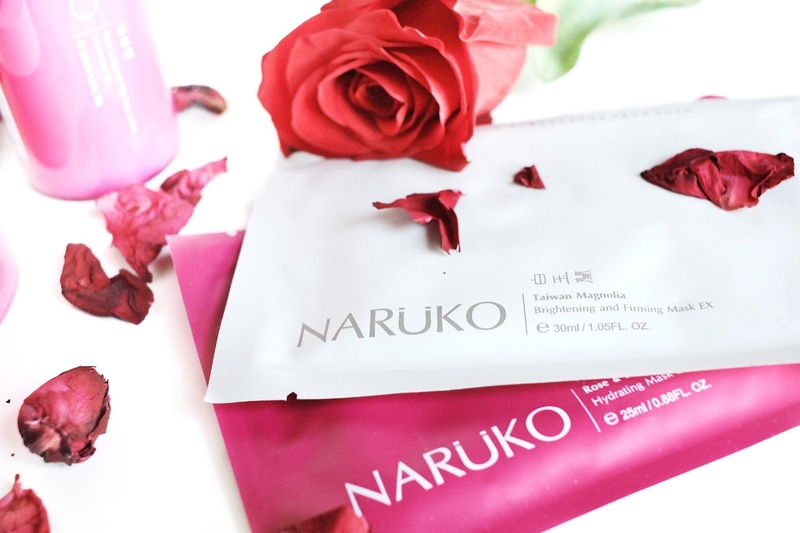 Taiwan Magnolia Brightening & Firming Mask* | Naruko also included this guy in my care package even though it isn't part of any of the series they sent me, but I'm so glad they did! This mask is supposed to be a brightening and firming one (hence it's name, duh!). I don't think I could judge that since I did only get one and I think it'd take more than one use for those to really show. However, I do want to talk about the structure of this face mask. It's not like any regular sheet mask that I've tried, instead it has loops that hook onto your ears so that it really hugs onto your face. I'm sure that that aids a whole lot in the firming process of this mask. I was really digging it and I'm ready to order a pack of these! Are you a fan of rose scents? Will you be trying any of these?